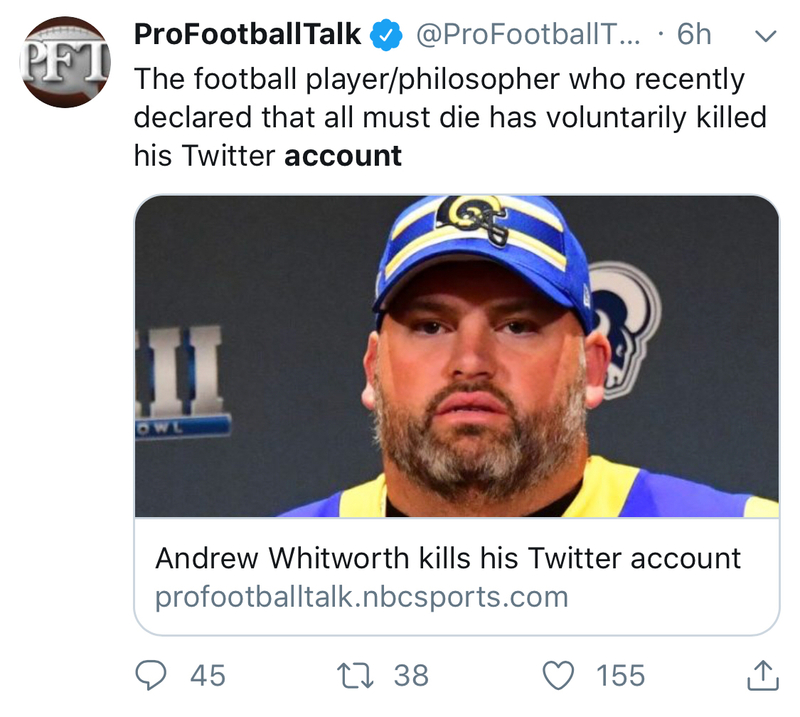 Rams left tackle and new-age philosopher Andrew Whitworth processed his team’s Super Bowl loss by pointing out that, win or lose, we all have to die. Our Twitter accounts, however, can live on. It’s possible that his swipe at the Saints and their fans provoked a reaction that prompted Whitworth to call it quits on Twitter. Whatever the reason, dead Twitter accounts can do something (most) humans can’t. Dead Twitter accounts can be brought back to life. 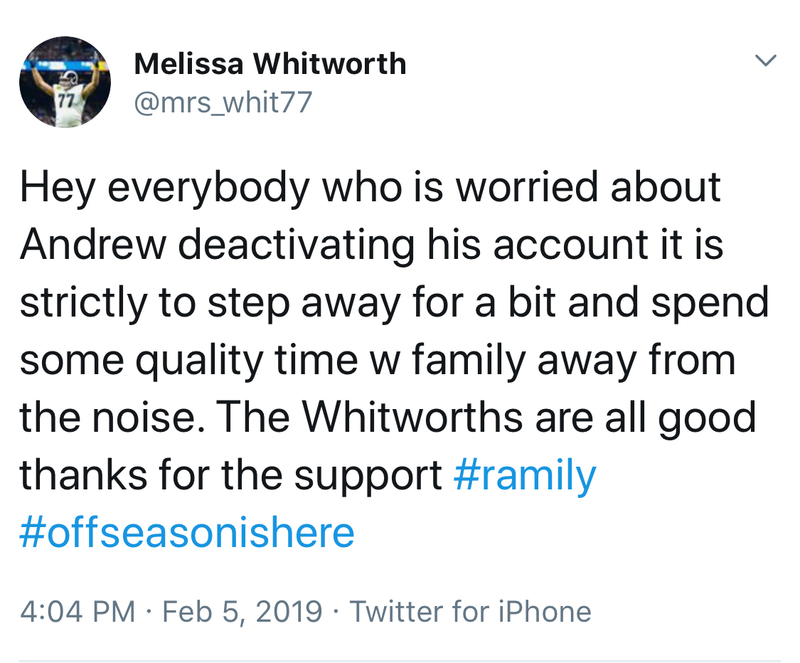 After Whitworth fully processes the disappointing end to his team’s season, maybe he’ll decide that, while all men must die, their Twitter accounts don’t have to. I wish players wouldn't "tweet". I take it he's been reading Nietzsche and took some influence from him, instead of that new age woo woo nonsense. A$$hat. Nice stab at Saints fans..you have a hater for life now. Waaa. Big boy so sensitive. Your offense failed and the only thing you can do is take a swipe at our fan base? If you noticed, New Orleans is doing just fine. Oh did you remember to wave at the 3 fans in LA who gave a crap you played in a super bowl? RailBoss, SmashMouth, 73Saint and 1 others like this.